Most of the conversion optimization tips we share here on CrazyEgg have to do with selling services, memberships, or trials of SaaS products. But what if you’re an ecommerce site selling physical products? Do these best practices not apply to you? After all, you can’t readily offer a free trial to engage in loss prevention. But there are still things you can do with your website to encourage higher conversion rates. These 5 tips should get you started. So many times, product pages seem more like an unfortunate side effect of “bolt-on” e-commerce systems than well-optimized pages designed to stand on their own. When you’re stifled by the limitations of your e-commerce software, you’re forced to place elements in your page where the original programmer thinks they should go—not where they truly need to be for maximum conversion results. Do what you can (given any ecommerce restrictions that may exist) to create landing pages that engage and drive sales. Don’t just enter a few bullets with features. Take time to create a full-blown sales page that is well-optimized for conversion. You should, at the very least, include hero shots of your product, a detailed description, and some persuasive sales copy. 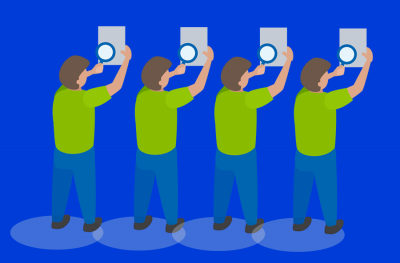 Then include a strong call to action, Get your [product type] or Add to cart. Speaking of “bold-on” e-commerce solutions, how many times have you gone through the checkout process only to be interrupted to create an account first, instead of checking out as a guest? Worse yet, how many times have you had to fill out multiple forms across multiple pages by entering the same information every time? It’s as if the retailer is dangling a shiny carrot over a mud swamp that you get the privilege of slogging through—just to buy a book or mug. 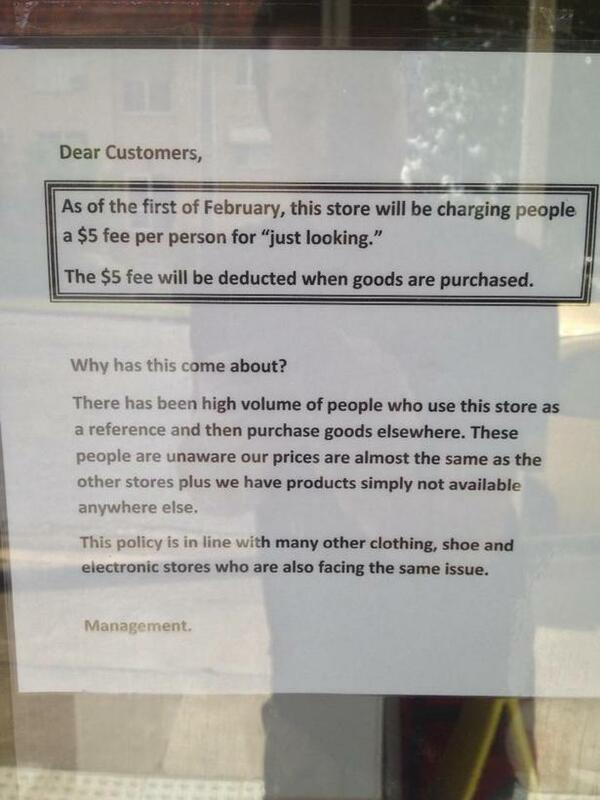 Your customers want the best possible price on your products. If they think there’s a coupon code that they’ve missed, they’ll leave your checkout to find it. That can lead to an inordinately high shopping cart abandonment rate. Here’s one way to avoid that. 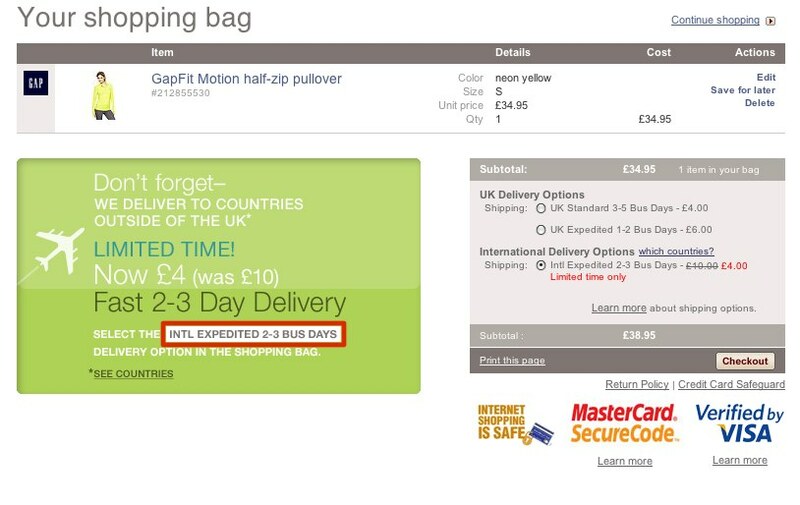 Make discounts visible, not just in the pricing page, but graphically as well. Gap.com did this for a promotion they did in the U.K. offering discount shipping. Not only did they show the discount in the total price area, but also by way of a large graphic beside the total, so the customer instantly knew, at a glance, what kind of savings to expect. Another idea has to do with coupon codes. Many retailers selling physical products will offer a discount code section for customers to enter their coupon code, but what about those who don’t have one? They’ll stop what they’re doing, hop onto Google or a site like RetailMeNot, and hunt for coupon codes, only to be distracted by a possible competitor’s ad for the same product. Make it easy for your customers to find and apply relevant coupons by filling in those that match their order contents, or linking to a list of your latest codes. 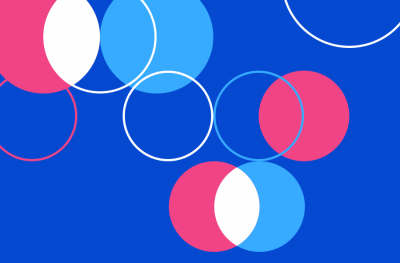 While you don’t have to go to quite such depths with your browsing clientele (which ultimately may cause more harm than good), you can do a few things to give your brand a voice and a look all its own. 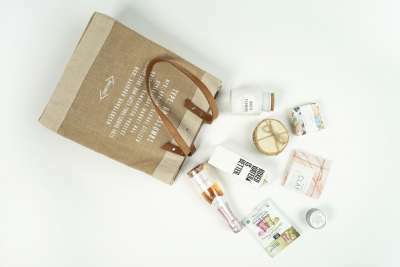 For example, you may be able to work with your suppliers to develop in-store-only exclusives that can’t be found online, similar to what Target is now doing with its own supply chain. 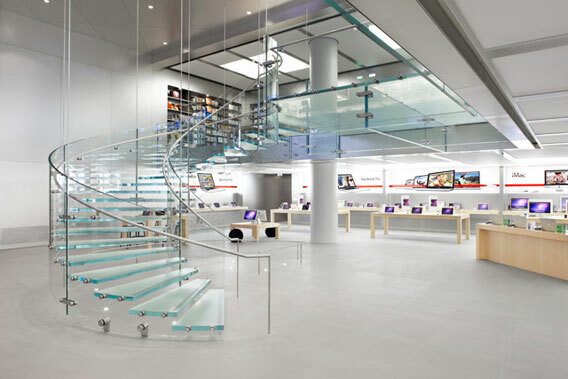 From the iconic glass staircase, to the unusual seating and stark contrasts from the products against the clean, white walls, there’s no doubt you’ve stepped into an iconic Apple store. And while you don’t need to go so far as to trademark your staircases, taking steps to make your shop stand out as more personable, friendly, one-on-one and unique can do a great deal to give it its own style—a style that can’t be replicated on a website. Under the “if you can’t beat ’em, join em” file, you can always entice shoppers in your doors by offering free Wi-Fi. A study by JWire showed that as many as 44% of customers admitted that free Wi-Fi would influence where they shopped. By asking for a few personal details in exchange for an access code, you can glean a little more info about your shoppers in the process. What’s more, as many as 74% of the wi-fi browsing public in stores wouldn’t mind receiving texts or email messages from the store featuring their promotions. This is basically the customer holding up a neon sign shouting “I WANT TO HEAR FROM YOU!” Every retailer’s dream come true. Finally, there’s the search engine optimization aspect. Retailers walk a fine line between separating their e-commerce storefront and their retail storefront, as many customers shopping their site won’t necessarily live in or near their physical location. It’s an established fact that Google uses local details in its algorithm, so how can you effectively separate the local shoppers from the online ones? And to what degree should you separate them? Obviously, for customers near you, you’ll want to incorporate things like Google Maps and click-to-call. For those further away, seller ratings from Google’s trusted network of review sites can help you earn that click. 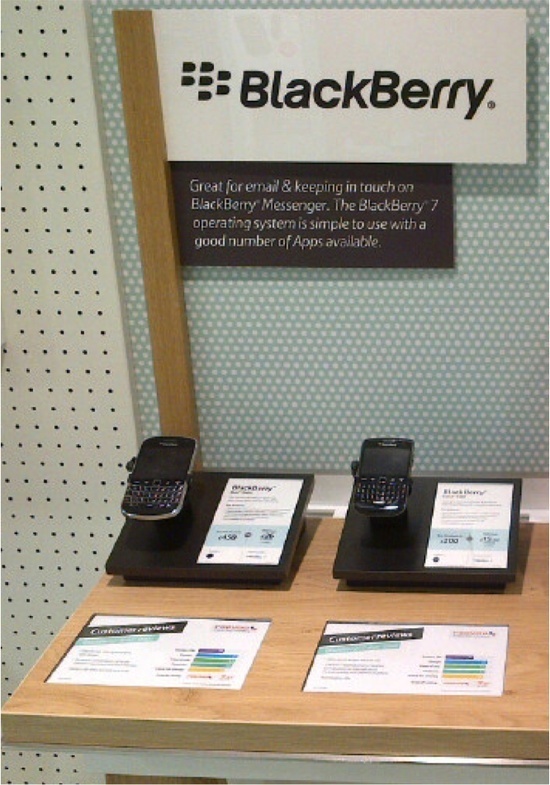 In addition, many stores are starting to incorporate online reviews in their in-store displays, such as this example from Blackberry which uses Reevoo.com customer reviews as part of its selling strategy. What do you think about the merging of the digital showroom with the retail storefront? Are things like Amazon.com price matching and exclusive supplier offerings unique to the store dooming the retail industry and forcing it into a downward spiral of price competition? Or are these changes a smart move toward blending retail and e-tail into a more complete experience? Share your thoughts and perspectives with us in the comments below! If you have a retail store or sell physical products and you’ve successfully managed to boost your conversion rates using some of these tactics, we want to hear about it!